G.R.E.S. 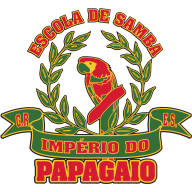 Império do Papagaio is a traditional samba school established in Helsinki in 1989. We offer classes in genuine Brazilian samba, in both dance and percussion, for all ages and levels. The first class is free for newcomers, so come and try samba! In addition to this, our vibrant samba community performs at various events and parties, offers workshops and enjoys spending time together at our samba cave in Töölö, Helsinki. Or are you interested in adding a memorable experience to your event? Papagaio is the largest samba school in Finland and our samba shows are second to none. We are the only samba group to offer live music within the Helsinki metropolitan area. This page was last modified on 12 March 2017, at 17:16.